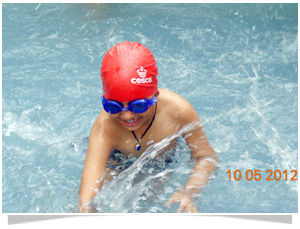 One of the most important things a school can do for a student is teach them how to swim. 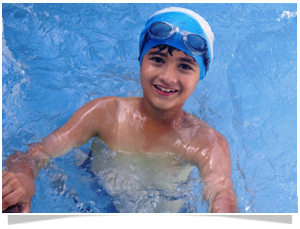 It is important for every child to have at least a basic knowledge of swimming. 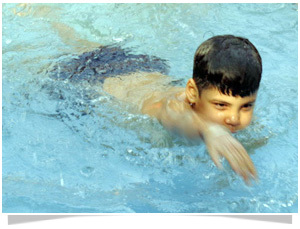 However, before we take students in the pool, it is ensured that the student is in good health. Students carry a towel and dry clothes for after the session. Finally, the school only lets a student swim in a comfortable swim suit. 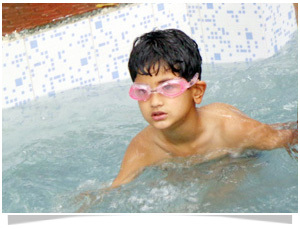 Not just for swimming, the School beats the heat of the hot summer by splashing in the School Pool with full gaiety and fervour, with students donned in colourful swim suits. They make a huge splash making everyone wet.